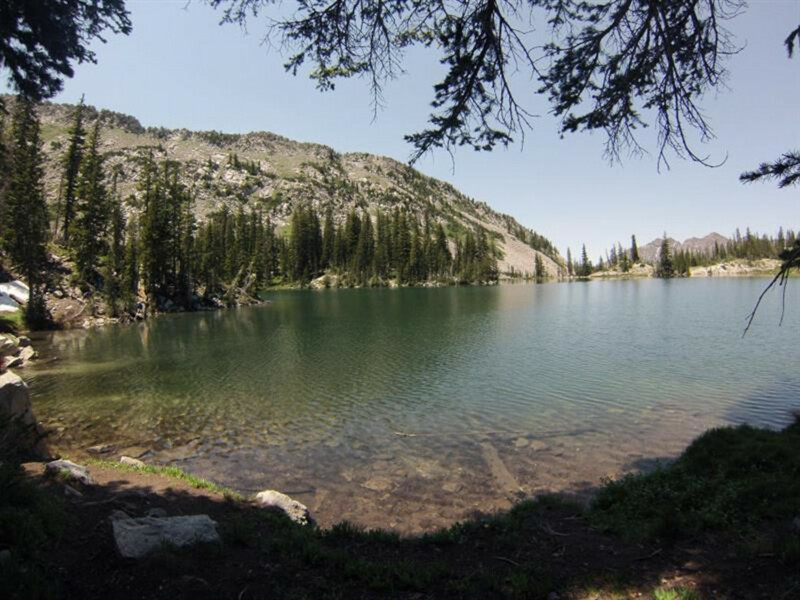 The hike to Red Pine Lake is a challenging mid-range hike with plenty of beautiful views and magnificent mountain lakes at its terminus. You’re going to want some caffeine before this hike. Try Raw Bean Coffee, on the corner of 600 South and West Temple. They open at 6:00 am Monday through Friday, 6:30 on Saturday, and 7:30 on Sunday. Raw Bean has the biggest large coffees in town and a great drive thru service. 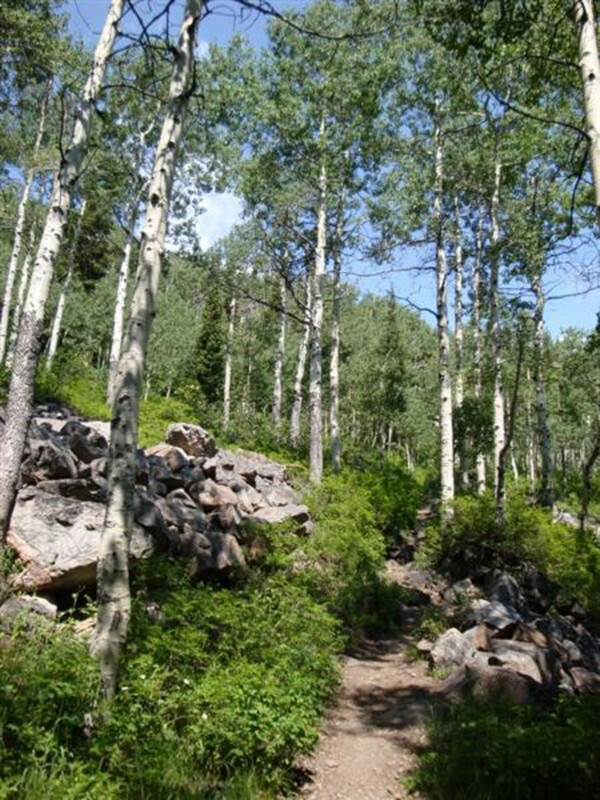 The trail starts through a young aspen grove, crosses Little Cottonwood Creek on a sturdy bridge, and winds its way up the open side of a steep ridge. 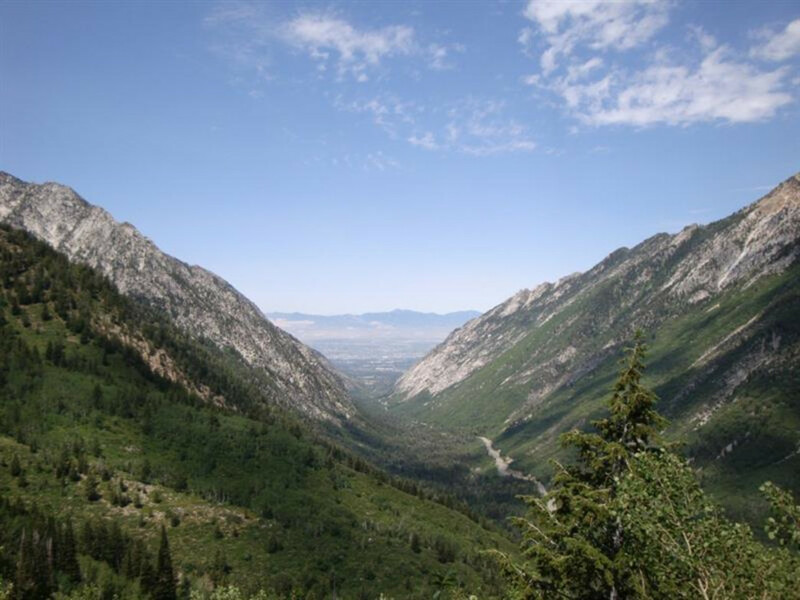 The views along this first mile of trail are magnificent—on a clear day, you can see out the mouth of the canyon, across the Salt Lake valley, and all the way to the Oquirrhs in the west. One mile in, the trail appears to end in a mountain stream. White Pine trail forms a switchback with the main trail and stays wide, like an old trucking route. Red Pine Trail also forms a switchback, just above White Pine - it’s a narrow rocky trail that crosses the stream over a wooden bridge about 30 feet above the switchbacks. Moose are common along this trail, especially as the snowline moves further down the mountain. Always give them a wide berth—they aren’t afraid of people and can be aggressive if it’s mating season or they have young nearby. The last quarter mile of Red Pine is the hardest: it’s a wall. 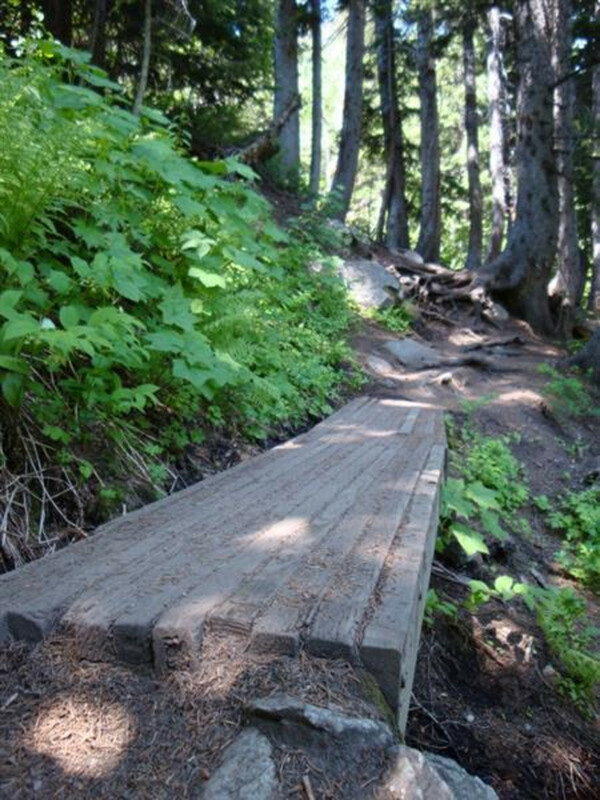 The trail meanders up through rooty, rocky gullies and takes a lot of effort for inexperienced hikers. When you break free of the trees, you’re almost there. Follow your nose up the hill (there’s a path, but it’s faint) – the lake is just past the boulders visible above you. To the left of the trail is a path around the lake. 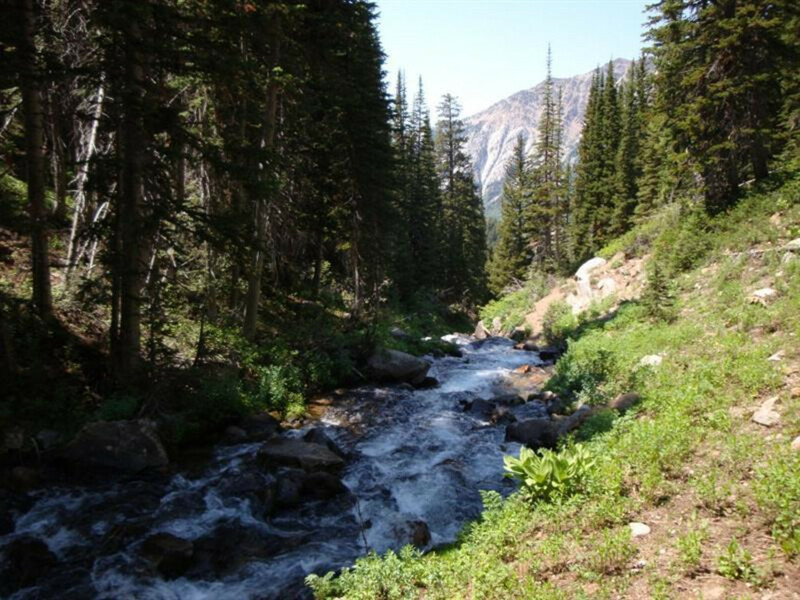 It leads you to the rocks and stream on the opposite side of the lake basin. That’s a great spot for a hammock and a nap, or sunbathing on the boulders. 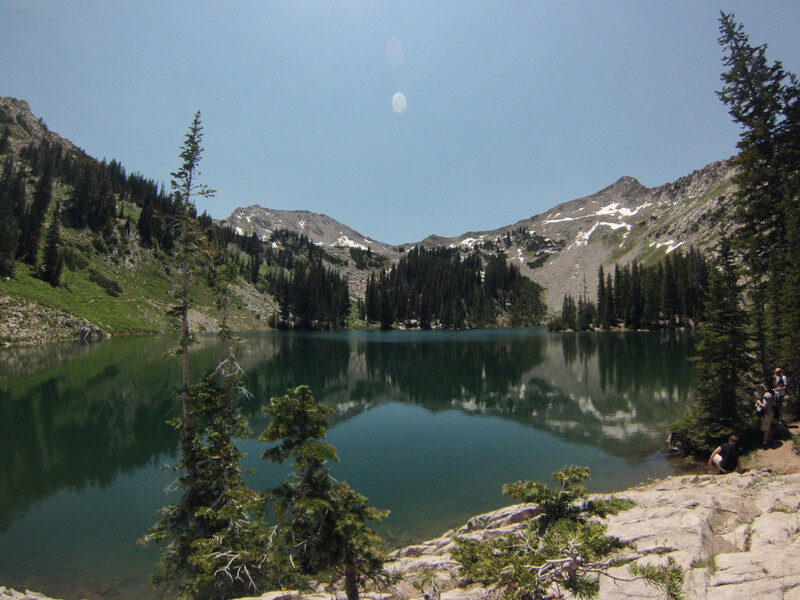 Ambitious hikers can continue to Upper Red Pine Lake by following the stream to its source. There is no clear trail, so pick your way carefully. 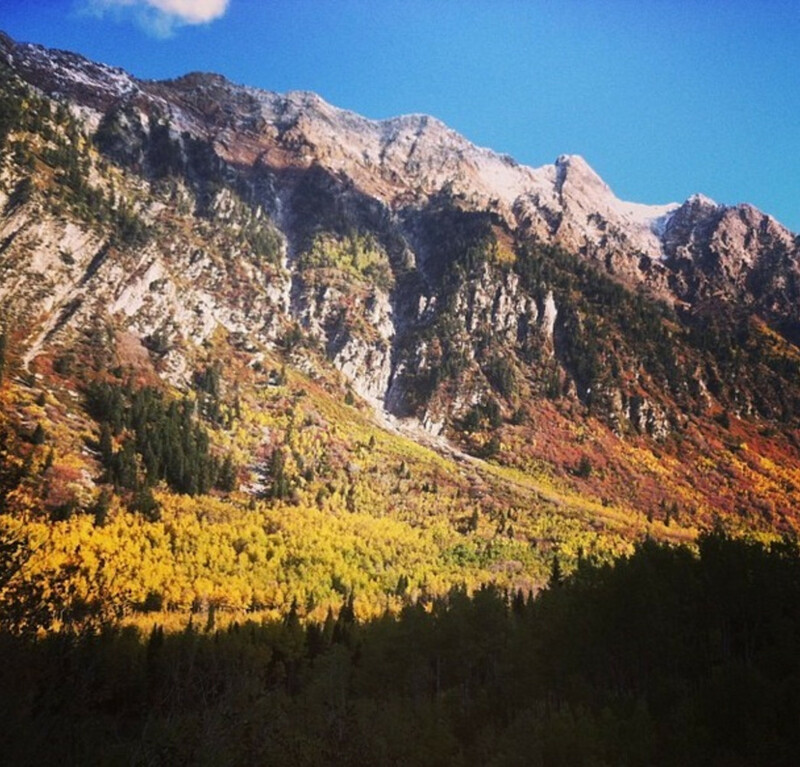 Little Cottonwood Canyon is a watershed, so leave no trace. Dogs and pets are not allowed. As much water as you’re comfortable carrying is always a good idea, but at least 3 liters per person is good for Red Pine, especially if you’re going to spend some time at elevation around the lake. 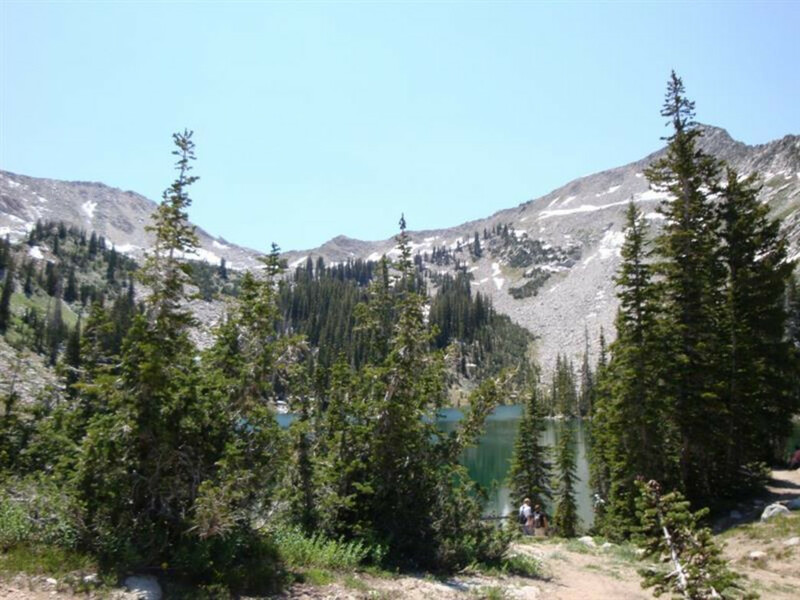 Experienced hikers looking for a great workout with an excellent payoff will love the hike to Red Pine Lake. 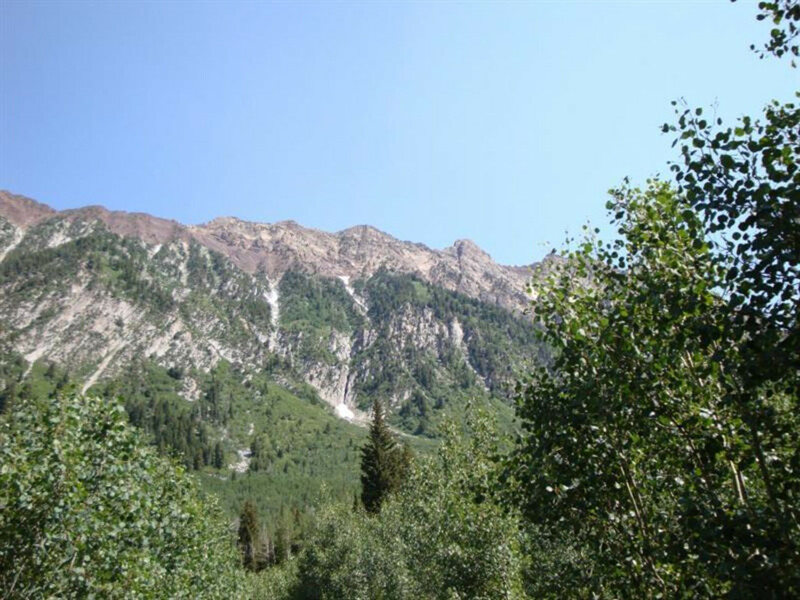 Everything in Little Cottonwood Canyon is measured from the Y-junction at the mouth of the canyon. There’s a big lighted informational sign on the right-hand side of the road and the Little Cottonwood Park & Ride lot is on the left-hand side. 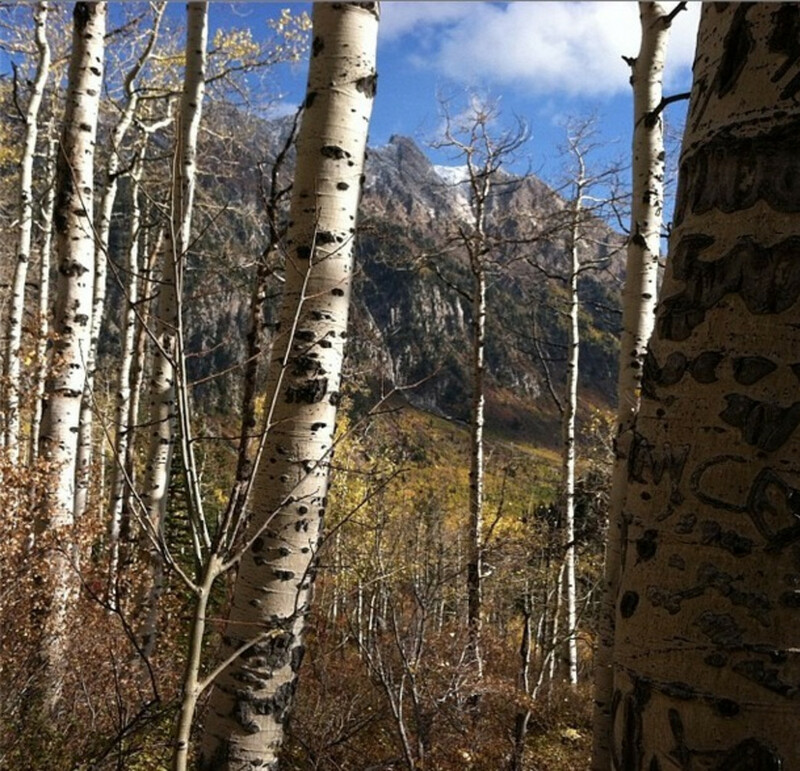 To get to Red Pine Lake Trailhead, drive 5.5 miles from the Y-junction. Red Pine shares a trailhead with White Pine, so keep an eye out for the White Pine Trailhead parking lot on the right side of the road. If the lot is full, it’s fine to park along the driveway or off the right shoulder. 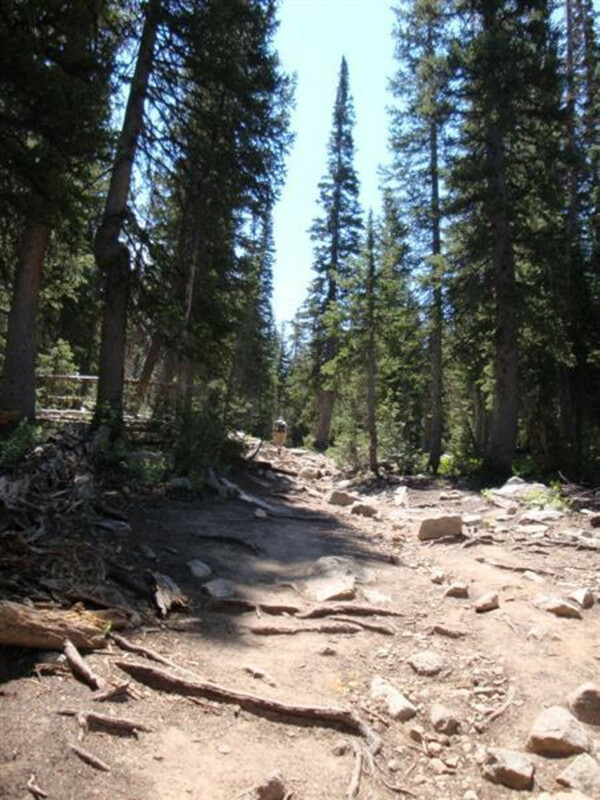 There are restrooms at the trailhead, and a map shows all three trails: White Pine (a mid-range hike), Red Pine (the more difficult of the three), and Maybird Gulch (another mid-range hike). A great post-hike food and beverage destination is Hog Wallow Pub & Patio. It’s just outside Big Cottonwood Canyon, which is only an 8 minute drive from Red Pine and is on the way back to Salt Lake City. If the weather’s good, explore the patio out back—it keeps on going! But if it’s too brisk to sit outside, the pub is cozy, the waitstaff is friendly, and there are TVs and pool tables to occupy your time. They have a good selection of beers on tap (4% or lower, Utah law) and their drink list has a standard mix of American, Utah, Colorado, West Coast, and a few imports. Mid-week and weekends, Hog Wallow (pronounced Wall-ah) features local live music from 9:30 pm to 1:00 am.